James Najman wanted to quit. 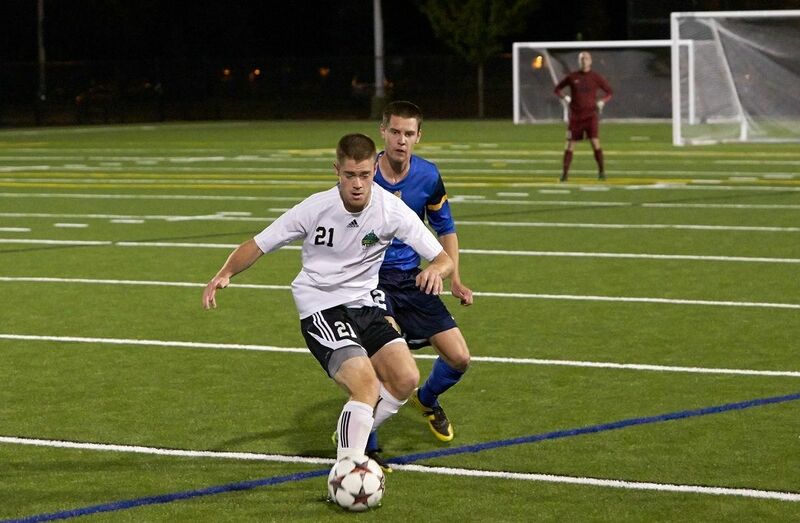 "It just got too hard at times, and I was getting really frustrated," says the fifth-year forward on the University of the Fraser Valley men's soccer team. What made the now 21-year-old's soccer career—and his life in general—so difficult was his up and down battle with Crohn's disease. When a person has Crohn's, part of their digestive tract becomes inflamed. This can lead to a multitude of different symptoms, including pain and discomfort, fever and diarrhea. For Najman, those symptoms started to show up when he was about 11 years old. "It was pretty scary at the start," he says. "I didn't know if I was gonna be alright or not." Najman explains that it took years for his doctors to determine which medication was best-suited for him. Even when he thought he found a prescription that worked, he would later experience a return of his symptoms. 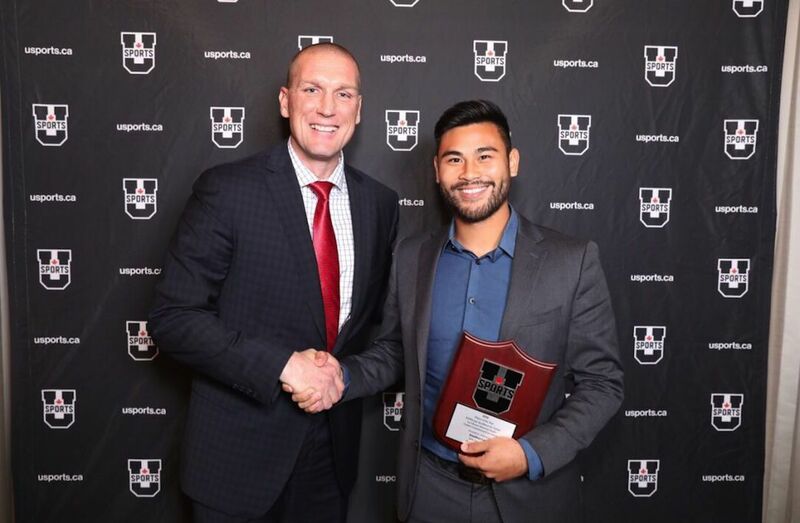 It was a battle that put the Surrey, B.C., native in and out of the hospital, and on many occasions he was forced to miss both soccer and school. He missed months of practices and games at a time, and he even spent most of Grades 8, 9 and 10 at home, getting minimal lessons from a teacher who'd come in once a week. "You start to get a bit sad, I mean a bit depressed because you aren't seeing anyone anymore," he says. His absence from soccer got to him so much, that he adds, "I was definitely ready to quit." As if having Crohn's wasn't enough, Najman's soccer career was hindered even further by two other unrelated medical complications. When he was 13, Najman had to have emergency surgery for a septic hip that, if he had waited just a few hours longer, could have left him without a hip. When he was 17, he fractured a vertebrae in his lower back, putting him out of soccer for a year and leaving him with screws, hooks and rods surgically inserted in his body. Needless to say, it's been a rough ride for the Cascades veteran. But somehow, between fractures and complications, surgeries and different medications, Najman was able to make it through. And although he considered quitting, he credits soccer for that triumph. "I think soccer is what kept me healthy," he says. "Just 'cause it was something that I looked forward to playing; it was something that I looked forward to doing. ... I just love it so much." With that passion, Najman was able to be just as impactful as his peers at soccer—and often much better—despite having missed years of training. This season, the kinesiology major finishes second on the team with four goals and tied for the club lead with six points, while being one of just two players on the Cascades roster to suit up in all 17 combined regular season and playoff games. Najman also recorded 21 shots for the Cascades – good for third most on the team – and scored two of UFV's eight game-winners. Today, Najman has been in remission from Crohn's disease for six years. He says that he still has his off days, but in general he's able to live a normal life. "I don't think of myself as a patient," he says, "I think of myself as a soccer player." Tom Lowndes, the head coach of the Cascades, agrees. "(He's) a big time player on (our) university soccer program," says Lowndes. "You know, if you watch James train and if you watch James play, you'd never know that he has to deal with (Crohn's)." Although it may appear that Najman has always had perfect health, he makes sure that the legacy he leaves behind at UFV is not just one of a talented, healthy athlete. By helping to organize events, speaking at conventions and encouraging discussions, the fifth-year striker has devoted a lot of time and effort to supporting the Crohn's community and raising awareness about the disease. "I like to be a role model for those who are newly diagnosed," he says. "I didn't really have someone that ... really understood exactly what I was going through. I think if I had that it would've been a bit easier, so that's what I like to do." In response to his player's contributions to the Crohn's community, Lowndes says, "It's just huge to have someone who's so invested in what he does off the field as well as on the field. It makes me proud as a coach, and I think our players are proud as well… James is a first class person."